The Ebbett Group have been around for nearly 100 years. All new Holden and VW dealership set to be opened in Te Rapa, as Ebbett continues to modernise and expand it’s dealership network. 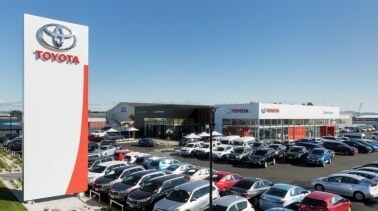 Ebbett Toyota and Lexus of Hamilton moved to brand new dealership premises at Te Rapa. 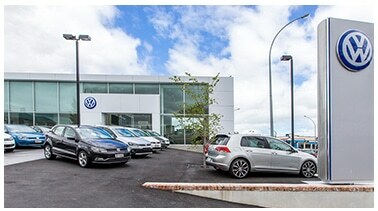 An Ebbett Volkswagen Concept Store was also completed and opened in Pukekohe. Ebbett became 100% shareholders in Waikato Toyota and the business was renamed as Ebbett Toyota. 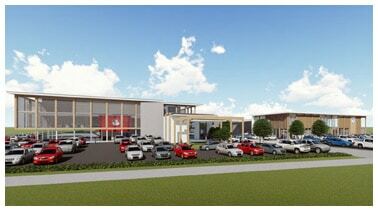 Ebbett Toyota then expanded, opening a dealership in Morrinsville. A new purpose-built VW/Audi dealership was also opened in Grey Street. The Ebbett Group also acquired sole NZ distribution for Foton. Duncan & Ebbett was established, representing Land Rover, Jaguar, Citroen, Volvo and Peugeot. 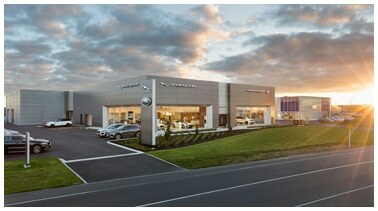 They later moved into a purpose built dealership in Te Rapa. Ebbett exited heavy truck operations. The group also aquired Ridley Motors (Taupo), Counties Motorcourt (Pukekohe), Gary Keith Motors (Hamilton) and Team Capital (Wellington). 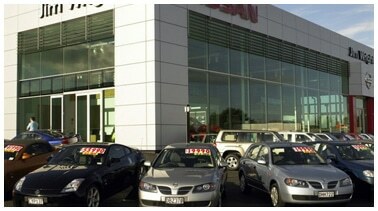 The first of the new wave of dealership premises were built – Jim Wright Nissan in Te Rapa. 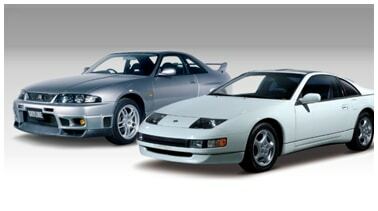 A series of purchases as Jim Wright, Waikato Toyota and Ebbett Tauranga (Bay Court Motors) were added to the Ebbett Group between 1996 and 1999. A roller-coaster decade. The business was privatised and then expanded rapidly (opening new dealerships in Greenlane and Milford). Even more rapid contraction followed with the 1987 share market crash, leading to a withdrawal to just one dealership – Hamilton Holden. 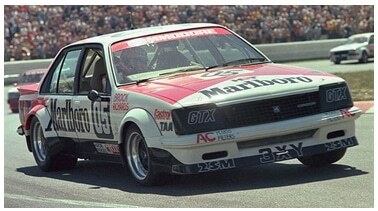 This was also the time Peter Brock was crowned King of the Mountain, winning Bathhurst 9 times. 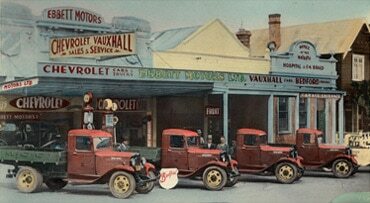 Holden HQ is launched – The HQ is still the biggest selling vehicle range Holden ever made. Ben van den Engel (our current CEO) joins the company as an apprentice mechanic. 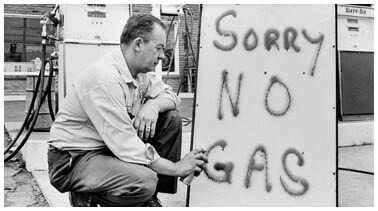 The business is listed on the NZ stock exchange but the Arab-Israeli war and high oil prices spelt the end of GM dominance in the market. Founder of the company, Alf Ebbett, dies at a young age in 1951. 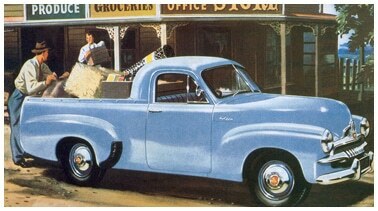 Holden and Ebbett formed a strong partnership in 1952; the same year Holden was first imported into New Zealand. Ebbett’s trucking business sourced and supplied some of the first milk tankers in the Waikato region. 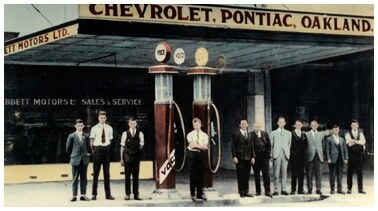 The timing of the new dealership was unfortunate as within 12 months the world was at war. For the duration of the war, when no new vehicles were imported into the country, the two businesses shared the old Hood Street premises while the New Zealand Air Force occupied the new complex. 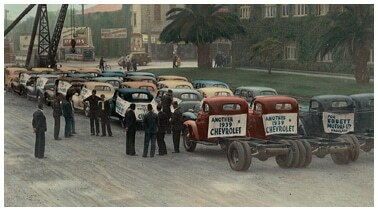 When General Motors decided to separate its two product lines in 1938, Waikato Motors Limited was formed to operate the Vauxhall/Bedford franchise from the original Hood Street premises, while Ebbett Motors moved to a newly built dealership on the corner of Hood and Anglesea Streets, to represent the Oakland, Pontiac and Chevrolet brands. Ebbett Motors, established in 1928, was originally sandwiched between a Chinese laundry and a gunsmith’s shop in Hood Street. 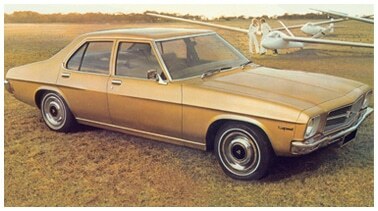 They Focused on the popular General Motors products of the time; namely Oakland, Oldsmobile and Chevrolet. These core marques secured the survival of a company bravely started during the world-wide depression by a young Alf Ebbett, who was later joined by his brother Ron.